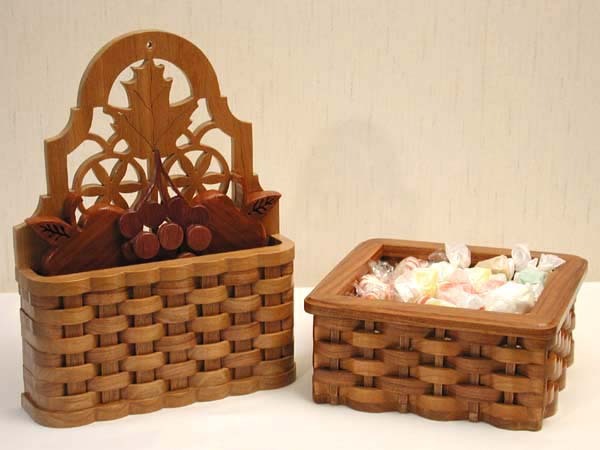 The baskets are made from Cherry and Modillo, and the apples and grapes are made from Padauk and Purpleheart . The square basket was made using the scrap pieces from the leaf basket. This basket set is made from Black Walnut and Cherry. 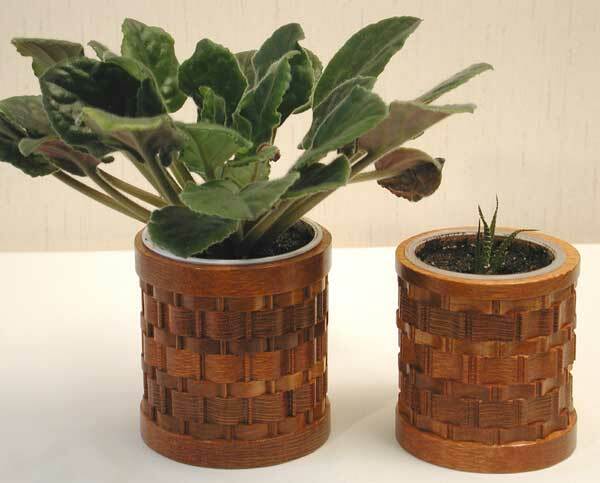 The napkin and coaster holders were made from the scrap pieces of the plant holder. The basket is made from Hard Maple and Oak. 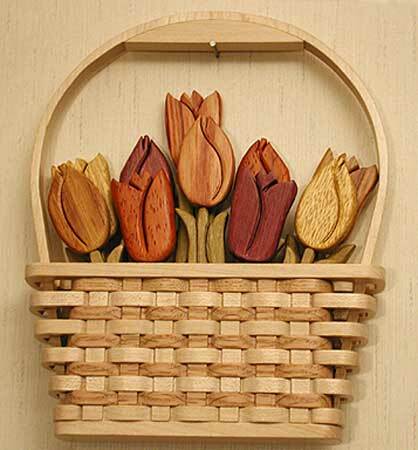 The tulips are (L-R) Arariba (Canarywood), Padauk, Tulip wood, Purpleheart, and Satin wood. The stems and leaves are made from Poplar. All the woods are in their natural colors. These basket rounds are made from Cherry and Lace wood. The smaller basket on the right was made from the scrap pieces of the larger one on the left.